Real Madrid wrapped up the La Liga title last weekend, with Jose Mourinho leading the Santiago Bernabeu outfit to their first Spanish top-flight success in four years. A convincing 3-0 away win over Europa League finalists Athletic Bilbao sealed the triumph, and broke Barcelona’s stranglehold over the game in Spain. The achievement has not gone unnoticed in west London, as former employer Roman Abramovich is reportedly eager to bring ‘The Special One’ back to Chelsea. The latest success is Mourinho’s 19th trophy in his managerial career, a quite unbelievable achievement. 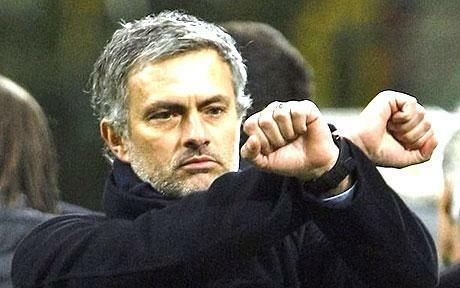 From taking over at Portuguese giants Porto in 2002 until now, Mourinho’s record has been exemplary. The Setubal-born trainer started as he intended to carry on in his first season at the Estadio da Dragao, winning the Primeira Division at a canter, the Taca de Portugal and the UEFA Cup in a momentous season. In the league the total of 86 points out of the possible maximum of 102 was a Portuguese record, whilst Mourinho’s men beat his former club Leiria in the cup final and Celtic in the European finale. 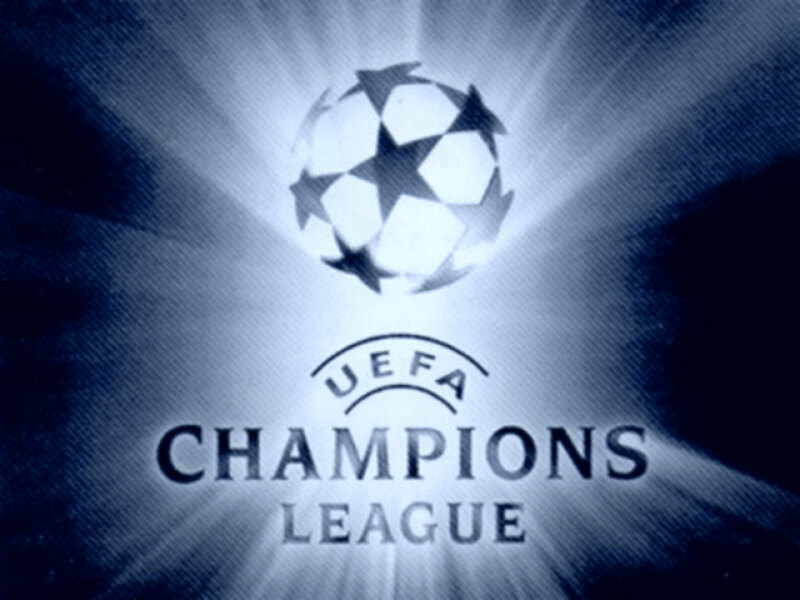 Mourinho and his Porto team really shot into the limelight the following season, by retaining their Primeira Division title and against the odds lifting the Champions League. Porto sealed their domestic title with five weeks of the season still to play, and after eliminating Manchester United in Europe, lifted the Champions League crown with a 3-0 win over Monaco. Porto’s elimination of United drew English attention to Mourinho’s achievements, and the successful trainer took over the Chelsea managerial position. After proclaiming himself ‘The Special One’ in his first press conference, Mourinho went on to put his money where his mouth is, lifting the Premier League crown in his debut season, the Blues’ first in 50 years. Chelsea also beat Liverpool to lift the Carling Cup. With the Blues team given self-belief by boss Mourinho, Chelsea went on to retain their Premier League title the following season, with a 3-0 win over Manchester United proving their dominance. They also lifted the Community Shield by beating Arsenal 2-1, but the Champions League remained all-elusive. Mourinho’ last full season at Chelsea saw his men relinquish their Premier League crown to Manchester United, and they were eliminated from the Champions League by Liverpool. Despite this, the Blues still lifted the FA Cup and League Cup in a domestic double. After being shown the door by Abramovich in the 2007-08 season, Mourinho took over at Inter after an eight-month spell away from the game. Similar to his time at Chelsea, he wasted no time in laying down a landmark, and won the Serie A title at the first time of asking and the Supercoppa Italiana. Despite winning the Scudetto by a ten-point margin, elimination from the Champions League at the hands of Manchester United was a major frustration for the perfectionist coach. Arguably Mourinho’s most successful season in management, Inter were unstoppable in 2009-10. The Nerazzurri retained their Serie A crown in impressive form, beat Roma to claim the Coppa Italia trophy and after defeating Barcelona in the semi-finals, lifted the Champions League crown with victory over Bayern Munich. 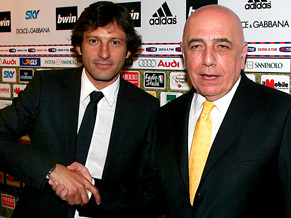 The next day Mourinho admitted that the win would be the last game in charge of the Italian giants. Mourinho was announced as the replacement for Manuel Pellegrini at Real Madrid for the 2010-11 season, with the capital-city side looking for a solution to Barcelona’s dominance at home and on the continent. In this first campaign in Spain the Portuguese coach failed to stop Pep Guardiola’s men achieve glory in La Liga and the Champions League, but did beat the Catalan giants in the Copa del Rey final. This season has been a different story for Madrid, who have been comprehensive and deserved winners of La Liga. The main criticism aimed at Mourinho’s men was their inability to beat Barcelona in a clash between the sides, but a 2-1 victory at Camp Nou got this monkey of the team’s back and all-but secured the division title. Although Champions League still eludes Mourinho at Madrid, the Portuguese coach will look to dominate all competitions next season. There are increased rumours over Mourinho’s future and a potential move back to England, but this is unlikely, as the proud coach will feel that he has unfinished business in Spain. Next term Madrid will have a transitional Barcelona side to deal with, and the Santiago Bernabeu fans will crave that Mourinho deliver the Champions League back to this great club. 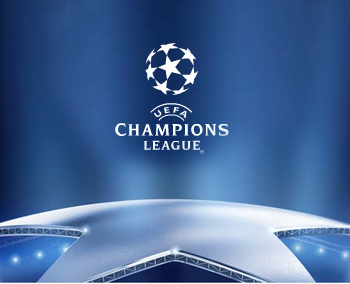 The Champions League quarter final contestants will be decided this week, as the final four fixtures of the round of 16 take place on Tuesday and Wednesday nights. After stellar performances from the underdogs in the respective first legs, four favourites have work to do to make the last eight. Since the 3-1 first leg defeat to an in-form Napoli in Italy, Chelsea have sacked Andre Villas Boas and will need to up their game if they are to stand a chance of progression; despite domestic wins of late, Walter Mazzarri’s men will pose a more stern test. The hosts need an attacking outlook, but with Edinson Cavani, Ezequiel Lavezzi and Marek Hamsik ready to pounce, John Terry’s role at the back is equally as important as the team’s attackers. Napoli have goals in them, but are also susceptible at the back; this was showcased in their 6-3 win over Cagliari on Friday night. Away goals could decide this tie. Real Madrid were expected to walk all over CSKA in the first leg, but the Russians put up an ardent fight to get a 1-1 draw at the Luzhniki through an injury-time equaliser. Jose Mourinho’s men are still in a dominant position to progress, with Cristiano Ronaldo in superb goal-scoring form; the Portugal international has 45 goals already in all competitions this term. The travelling support will pin their hopes on promising attacking duo Alan Dzagoev and Seydou Doumbia, but anything other than Madrid progression would be a massive shock. Marseille take a slender 1-0 advantage to the San Siro on Tuesday, after a last-gasp Andre Ayew header gave the French side victory at the Stade Velodrome in the first leg. Claudio Ranieri has come under increasing pressure due to domestic inconsistency, and if Inter are eliminated the head coach will fear for his future. Didier Deschamps’ men are not in good form either however, and have lost all four Ligue 1 games since beating Inter in February. The midfield battle will be key to deciding the fixture and should be a pulsating watch, as Alou Diarra and Morgan Amalfitano face Esteban Cambiasso and Wesley Sneijder. Bayern have high hopes for this season’s Champions League as the final will be held at the Allianz Arena, however Jupp Heynckes’ men have stuttered of late and are 1-0 down against Basel after the first leg. The Bavarian giants did have ideal preparation for the second leg by beating Hoffenheim 7-1 on Saturday, with Mario Gomez grabbing a hat-trick. The Swiss champions will look to their excellent showing at Old Trafford earlier in the season as motivation, with Bayern-bound Xherdan Shaqiri the visitors’ fulcrum of attack. With AC Milan, Barcelona, APOEL and Benfica already in the quarters, four close games will decide the remaining participants. Madrid should overcome CSKA, whilst Chelsea will most likely be eliminated by a classy Napoli outfit. Marseille have the quality to compound Inter’s misery and Bayern should fight back to knock out Basel – just. I am happy to report that I have started contributing to an excellent football website, World Football Columns. The quality of writing on there makes me feel quite priveledged to be a contributor. With the end of the season upon us, the transfer window re-opens in June and the biggest clubs in European football will look to strengthen their playing squads for the forthcoming campaign. 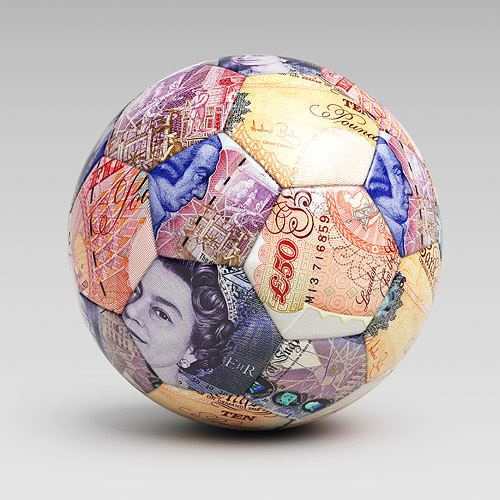 The continued investment in the world game has resulted in transfer fees rising, and there are a number of players that this summer could conceivably cost £30 million and up. The Palermo playmaker has had another sparkling season and has led the Sicilan side to the Coppa Italia final; ‘El Flaco’ or ‘the skinny one’ is one of world football’s hottest properties. Real Madrid, Barcelona, Juventus, AC Milan and Roma are all ready to part with £30 million to secure the services of the 21 year old, however this may not be enough as controversial Palermo president Maurizio Zamperini has been quoted as saying he feels the player is worth €100 million. With Real Madrid in the hunt for Pastore and already signed creative midfielder Nuri Sahin from Borussia Dortmund, first team opportunities for Kaka may be limited. Since his world record £56 million move from Milan to Los Blancos in 2009 the Brazilian has failed to make the required impact, and is currently playing second fiddle to Bernabeu main-man Cristiano Ronaldo. I Rossoneri president Silvio Berlusconi has ruled out a return to the San Siro, so England looks the most likely destination, with long term admirers Manchester City and Chelsea battling it out for his signature. The Chilean left sided midfielder has been one of the main reasons for Udinese’s charge towards Champions League football, with pundits raving over the 22 year old’s performances. Both Milan and Inter are believed to want the ex-River Plate attacker, but Manchester City again seem to be the frontrunners, with a £30 million summer transfer touted in the Italian press. Arsenal’s captain has been linked with a move back to Barcelona for a number of seasons, and the move may happen this summer as The Gunners may look to cash in on the 24 year old whilst he is out of form. With Jack Wilshere emerging this season to potentially take Fabregas’ place as Arsenal’s go to midfield man, a move back to the Nou Camp for £30 million or more could be on the cards. The PFA Player of the Year has had a strong season domestically and in Europe, and shot to worldwide acclaim with a hat-trick against Inter at the San Siro in the Champions League Group Stages. Due to Tottenham missing out on the competition for next season, Bale may be tempted by the bright lights of Italy or Spain, with Inter and Barcelona linked with the player. United and City are also thought to want the Welshman to come to Manchester, and given his performances the fee would exceed £30 million. Big spending City may find a change of personnel in attack, with any big name departures or arrivals costing more than £30 million. The club have been linked with an audacious move for Milan’s Zlatan Ibrahimovic, whilst club captain Carlos Tevez’s future at Eastlands is under scrutiny, with Inter the reported chosen destination for the Argentine forward.